The Spanish Summer course in Malaga is the perfect way to learn Spanish quickly at the best time of the year. Thanks to our fun and interactive exercises you will be able to speak Spanish fluently, as well as enjoy the perfect balance between the Spanish course and having spare time for outdoor activities. Come to Malaga to enjoy a summer that never ends! The city is bathed in sun 340 days a year, a perfect place to chill on one of the numerous beaches in Malaga. Get ready to go to the beach, visit the city centre and experience many other leisure activities. The “capital of the sun” has a multitude of magnificent places to see, such as the Castle of Gibralfaro, the Roman Theatre, the port, or the view from the Mirador. You will love this historic city, make lots of friends and learn so much Spanish! 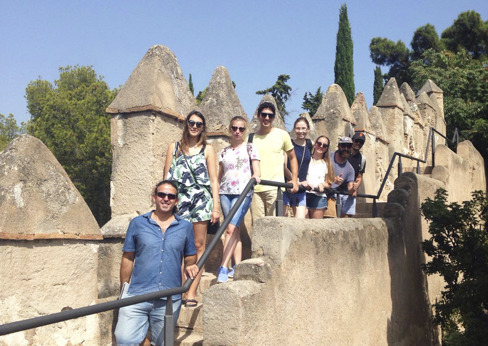 By enrolling on the Spanish Summer Course, you will be able to attend a range of activities organised by the school. Our fun afternoon activities are designed to give you the chance to practice Spanish and meet other international students while discovering the beauty of Malaga and getting to know Spanish culture! Have the best summer of your life: have an AIL Malaga Summer! Small groups (average of 4, max. 8). 20 group classes and 5 private classes “one-to-one”. Tailor-made private classes and teacher’s support. Looking for a course with the same intensive approach to learning, another time of year? Our Intensive Spanish course is for you!